SPAIN’S new ‘intelligent’ high-speed rail service was launched today promising more versatility and lower prices some 20-25% cheaper than the existing AVE service. There will be no physical ticket, only digital. There will be wifi and online communications too – and, through an app, it will tell the traveller the progress of the journey and informing them about interesting activities at the destination or places where the train passes through. If the traveller wants, a journey can be door-to-door and a single integrated ticket can include taxi, metro, bus or rental car. In addition, the trains will be designed to adapt to different types of travel, with spaces for mini-groups (2, 4 or 6 people) and more work areas. It is planned the new trains will start operating in 2019 between Barcelona and Madrid and then be rolled out to other routes. 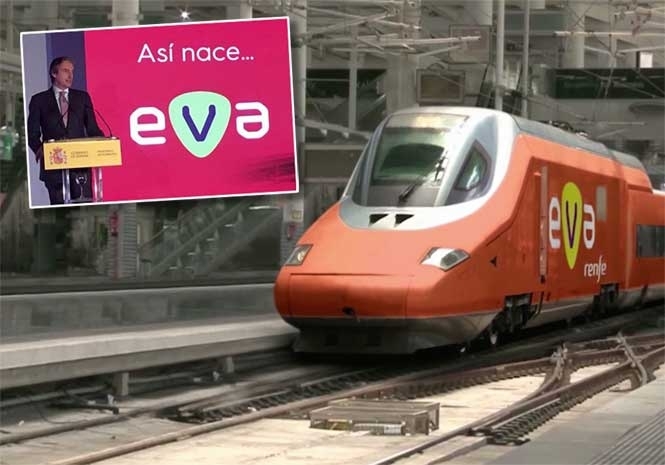 Train operator RENFE said that the new EVA service will be highly digitised and offer improved workspaces and should appeal to families and the younger generation. Spain’s Minister of Development, Iñigo de la Serna, presented the Smart Train concept in Barcelona today – a city which is soon to celebrate ten years since the arrival of the high-speed trains carrying more than 35 million passengers in that period. It would be nice to just have more than 4 trains a day at inconvenient times.